Holly and snowflake design fabric drinks coasters from the Snowfall range by Peggy Wilkins. 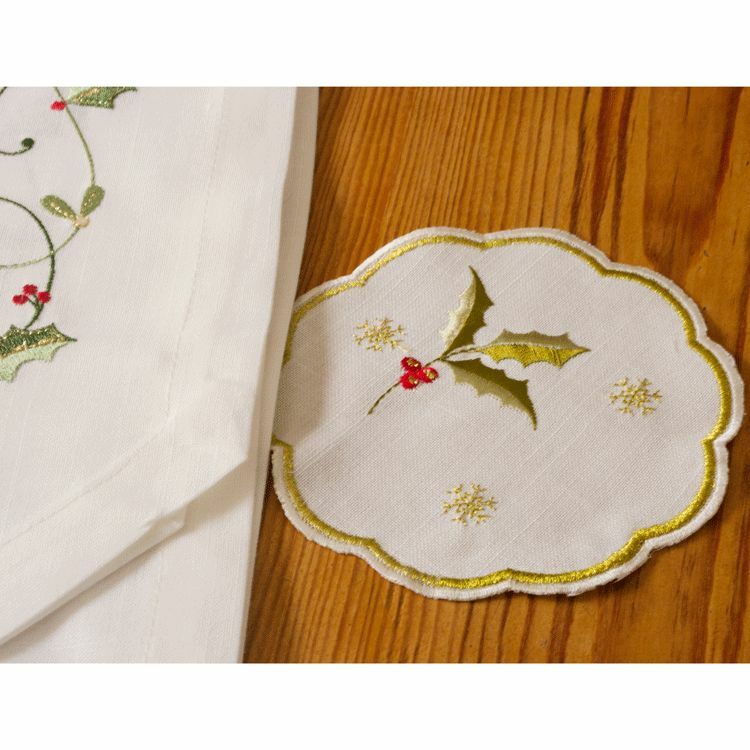 These embroidered coasters have gold edging and are supplied in a pack of 4. These linen feel coasters are machine washable at 40'C and measure 13cm diameter.